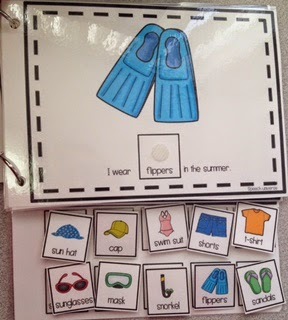 These are fun, simple books that can be used in a variety of ways. They are pretty easy to assemble with a little lamination and Velcro. Complete instructions for how to assemble these books are included in the packet. The first book is called What Do You See? 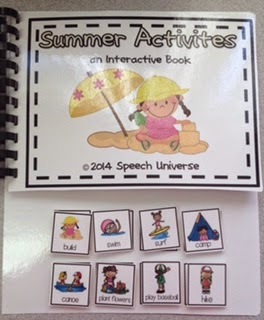 The second book is called Summer Activities. There are two additional activities included in the packet you will receive. 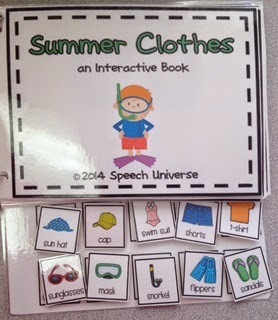 The third book is called Summer Clothes. These books are great because they can be very versatile. 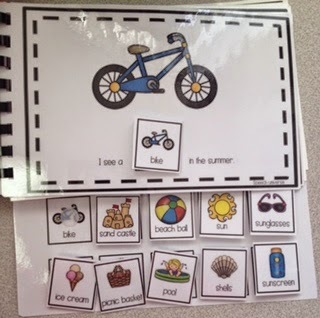 I use them with my students who have ASD and need help expanding their utterance length. Sometimes, I will pull the book apart and pull off two or three interactive pieces to create a smaller field of choices for my students. When can you wear shorts? 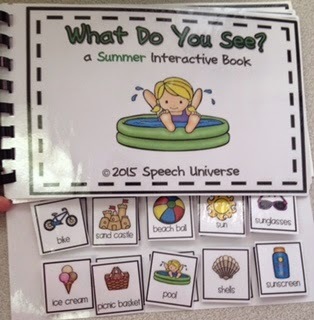 What do you see in the summer? 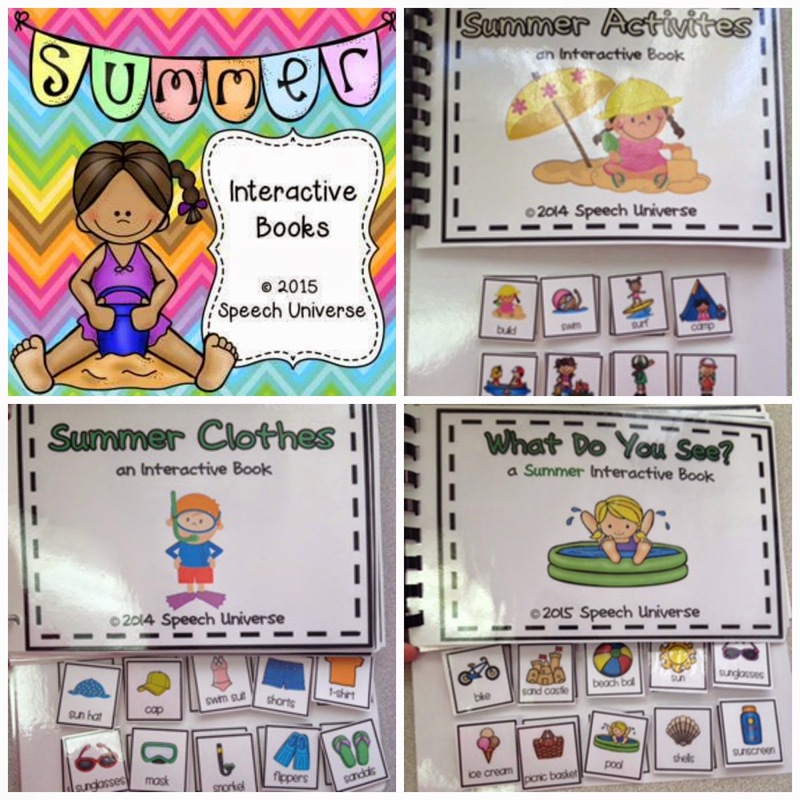 What can you do in the summer? When can you go swimming? 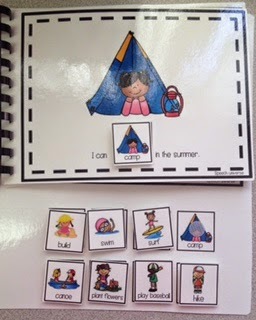 These books have been so much fun for me to make and use with my students. When my older students come into my room, and the books are lying on the table, they can't help themselves either. They love to look through the books and manipulate the pieces. Kids LOVE Velcro!